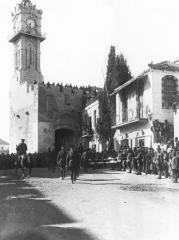 In Palestine, General Allenby leads a successful attack against the city of Jerusalem. He describes the victory as a Christmas present for the British people. It lifts everyone's spirits.